Staff Sgt. Jason L. Brown, 29, was killed in action in the early morning hours on April 17 when he was struck by small-arms fire while conducting combat operations in Sama Village, Iraq. He was a Special Forces engineer sergeant assigned to Company B, 3rd Battalion, 5th Special Forces Group (Airborne). He was on his second combat tour in support of Operation Iraqi Freedom and the War on Terror with 3rd Bn., 5th SFG(A). Brown was born in Texas and his military records list his home of record as Magnolia, Texas. He volunteered for military service and enlisted in the Army on March 25, 2003 as a Special Forces candidate. 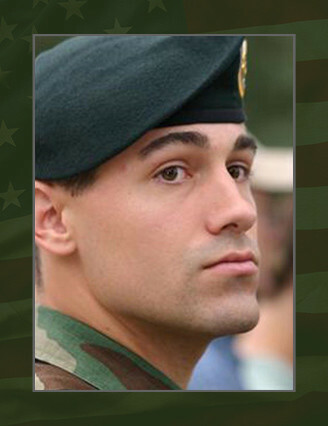 He would go on to earn the coveted “Green Beret” in 2004. His military education includes the Special Forces Advanced Urban Combat Course, Jumpmaster Course, Free Fall Parachutist Course, Survival, Evasion, Resistance and Escape Course, Basic Noncommissioned Officer’s Course, Warrior Leaders Course, Basic Airborne Course, and Special Forces Qualification Course and Advanced Explosive Techniques Course. His awards and decorations include the Bronze Star Medal, Purple Heart, Meritorious Service Medal, Army Commendation Medal, Army Good Conduct Medal, National Defense Service Medal, Iraq Campaign Medal, Global on War on Terrorism Expeditionary Medal, Global War on Terrorism Service Medal, Noncommissioned Officer Professional Development Ribbon, Army Service Ribbon, Overseas Service Medal, Combat Infantryman’s Badge, Military Free Fall Parachutist Badge, Master Parachutist Badge and Special Forces Tab. Brown is survived by his daughter, Alyssa Gomez, of Cypress, Texas; mother, Rosemary, and father, James, of Cartwright, Okla.